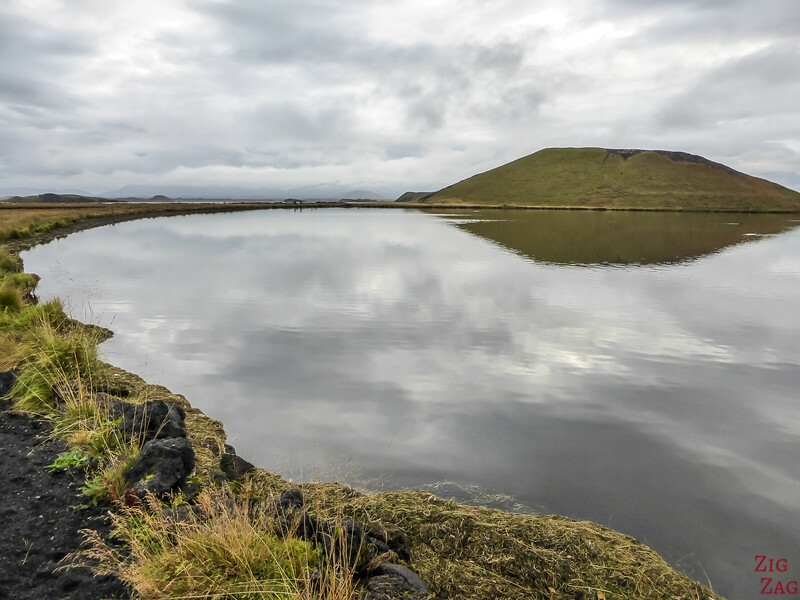 The Pseudocraters at Skutustadagigar of Lake Myvatn are one of my favorites geological features in Iceland. 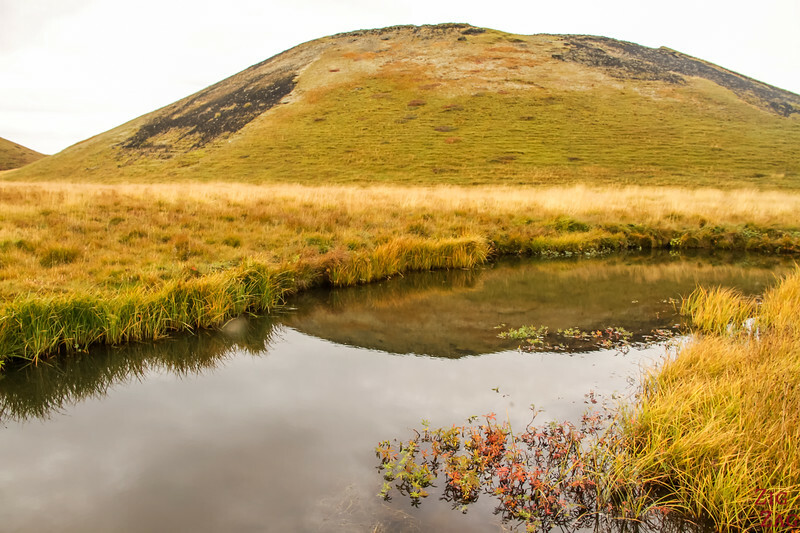 Let me explain to you why the Skutustadir craters are not 'real ones' and give you some tips to plan your walk around the pond and on some of them. 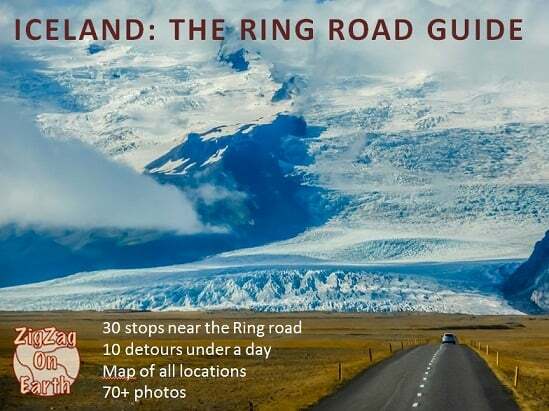 Want to see more of Iceland's beauty? 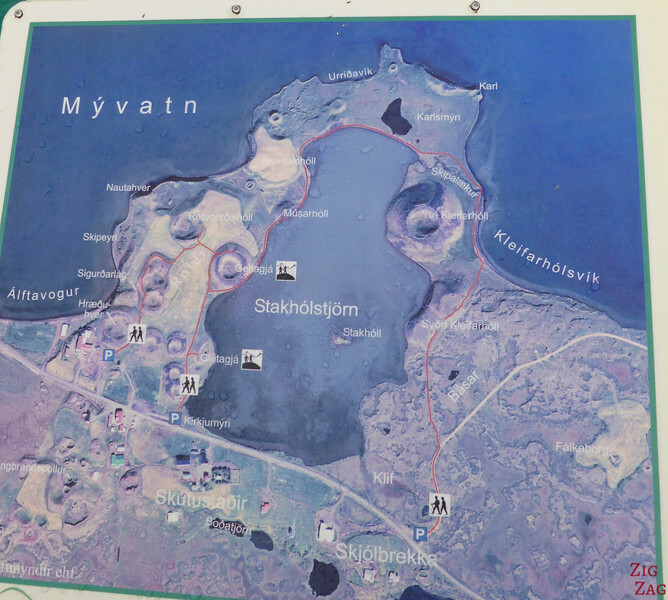 Skútustadagígar is the area South of Lake Myvatn around the pond Stakholstjorn where the famous pseudocraters can be found (see next section to understand why they are not real craters). 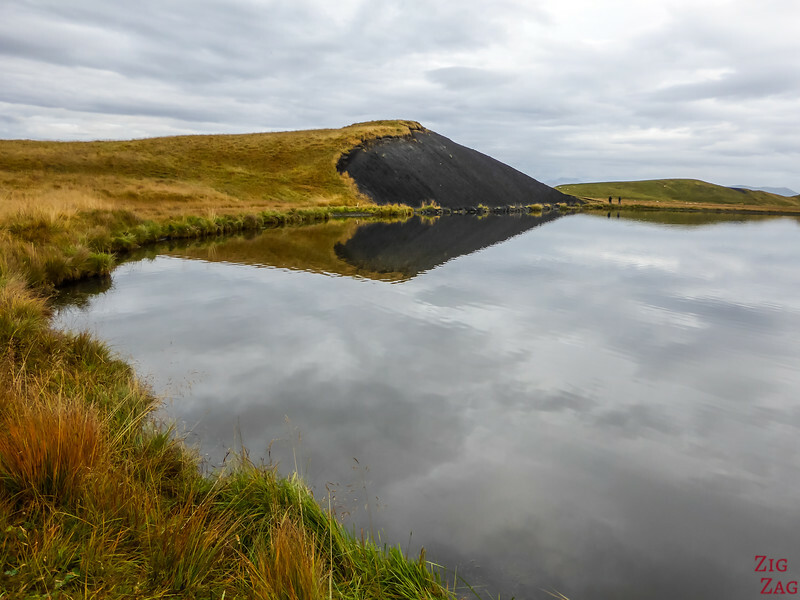 The Skutustadir Farm is named after an ancient hero called Viga-Skuta and allows us to get up close and climbs some of those beautiful shaped pseudocraters. 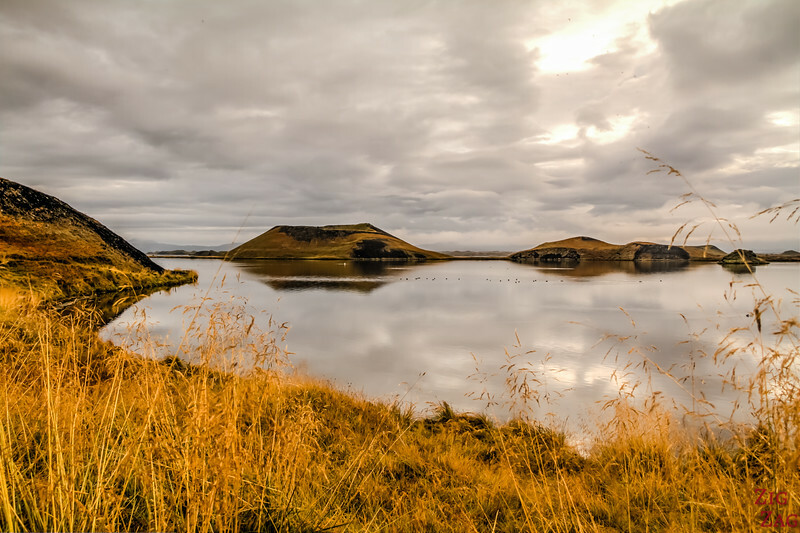 The Skutustadir pseudocraters made it to my list of the 10 best landscapes in Iceland and my top 5 things to see in Myvatn. I recommend the use of a fly net in summer. The area is famous for those annoying bugs especially so close to the water. I had some in September but it was bearable. I started the walk around the pseudocraters early morning I was lucky that the wind was down and got rewarded with beautiful reflections. “The planet Mars has recently found to harbour a large groups of craters that seem to have formed by steam explosions as glowing hot lava flowed over frozen ground. Such “pseudocraters” from on Erath as lava runs over wet sedimenet or into the sea. 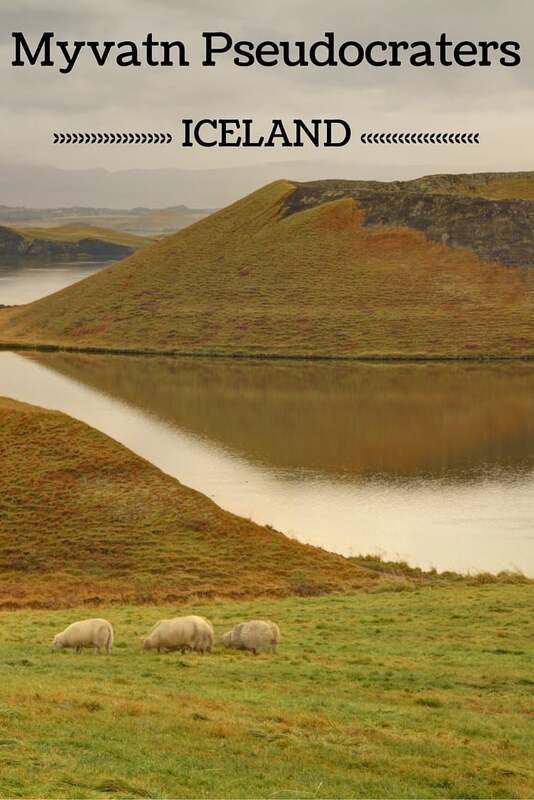 Most of Eearth’s pseudocraters are in Iceland and they are rare elsewhere. Scientific interest in them has increased after the Mars discovery. 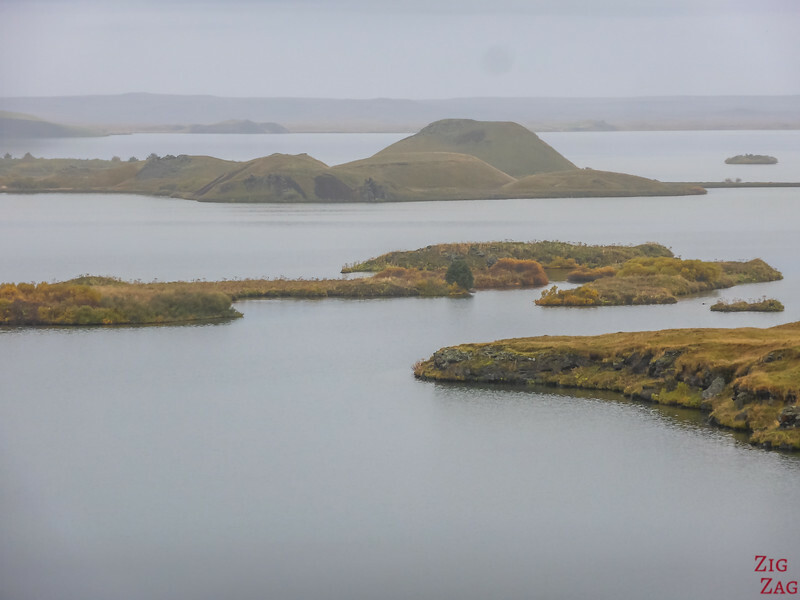 The pseudocrater by lake Myvatn are among the largest and most beautifully shaped on Earth. 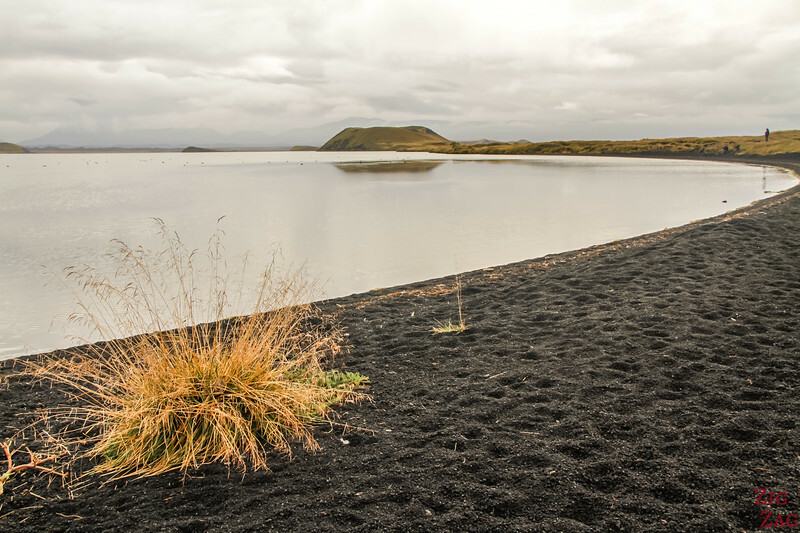 The Myvatn pseudicraters were formed as lava entered a large lake (a precursor of Lake Myvatn), trapping its wet sediment underneath. First, many eruptions take place and a platform of fine-grained material is built up. Later, a few eruption vents take over, the water supply diminishes and well-shaped crater cones develop on top of the platform. The molten lava moves like a thin sheet inside a strationary crust. The lower crust breaks and the hot lava makes contact with the water-logged sediment underneath triggering violent steam eruptions. The lava continues to flow inside the crust envelope and feeds the steam eruptions. After that I walked by down and continue on the path along the pond. Apart from the flies this is a very enjoybale walk. However the first part had the best views as you can see in the pictures. 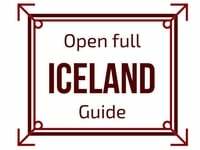 Discover more things to do and places to see in Iceland in my online Iceland Destination Guide. What do you think of those prefect shapes? 1. Is it easy to figure out which pseudo craters can be climbed and which are protected ? 2. 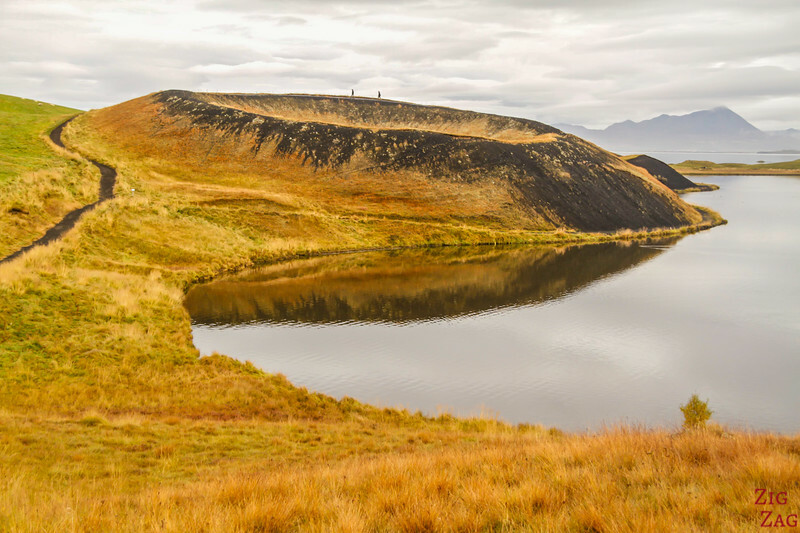 Does the walk around lake Stakholstjorn take an hour without climbing psuedocraters ? 3. If we climb 1-2 pseudocraters, how long will the loop around lake Stakholstjorn take? 4. The west side is the first parking lot near Kirkjumyn ? THANK YOU ! Really appreciate all the details in your blog. Thanks for the map – verrry helpful!